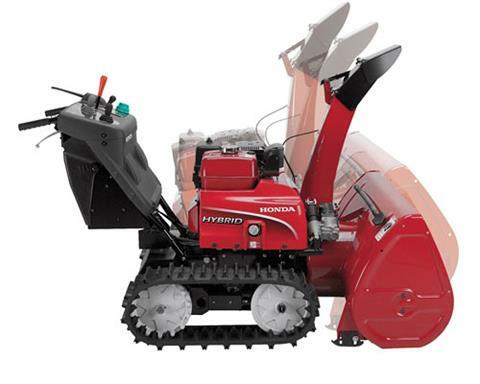 Honda's two-stage snowblowers are designed to throw more snow faster and farther. HYBRID TECHNOLOGY. 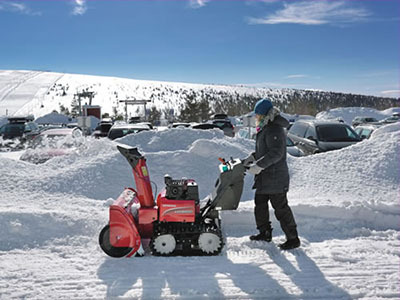 BETTER THROW, SMOOTHER GO: A combination of engine and electric motor power provides powerful snow throwing and uninterrupted travel and motion, simultaneously. The iGX engine powers the auger and impeller, expelling snow rapidly. 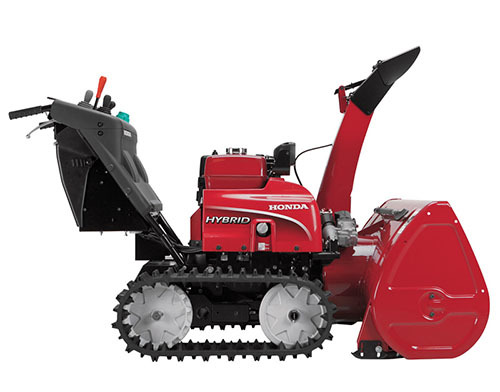 Dual electric motors power the track drive system, keeping the snow blower moving smoothly. POWERFUL, INTELLIGENT HONDA IGX ENGINE: The iGX390 is an intelligent engine. It operates automatically with much better, simpler, and faster controls. It's an ideal choice for even inexperienced operators. CLEARS UP TO 3000 LB. / MIN: The HS1336 clears even the heaviest snow in no time. CHOOSE YOUR LEVEL OF CONTROL, AUTO, SEMI-AUTOMATIC, OR MANUAL OPERATIONS: The HS1336i offers three different modes to give you just the right amount of control and versatility. 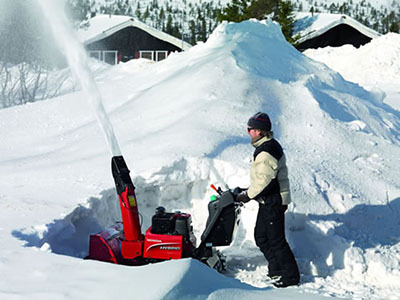 Choose between Auto, Semi-Automatic, or Manual modes - for the smoothest, fastest, most effective snowblowing you've ever experienced. POWER TILT/LIFT AUGER HOUSING: The HS1336i's auger housing tilts up and down as well as rotating. 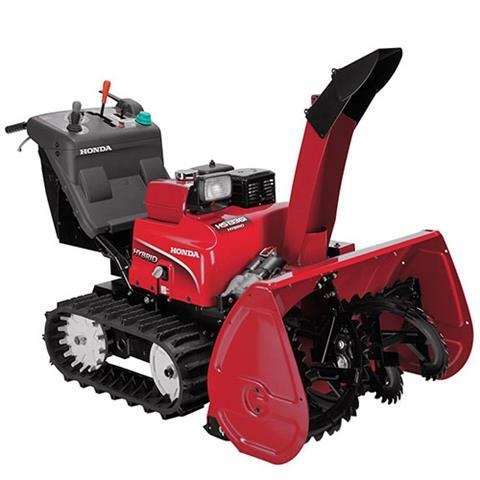 This allows you to tackle hilly grades without compromising the balance of the snow blower. You'll see more complete, efficient, and safer performance. NO CLOGGING, EVEN IN HEAVY SNOW: An impeller is strategically placed behind the serrated augers. This ensures snow discharge is expelled to eliminate clogging and potential for back up. MORE ACCURATE SNOW THROWING: Discharges snow up to 62.3 feet away. The discharge chute is double articulating, with two hinge points for more accurate snow tossing trajectories. 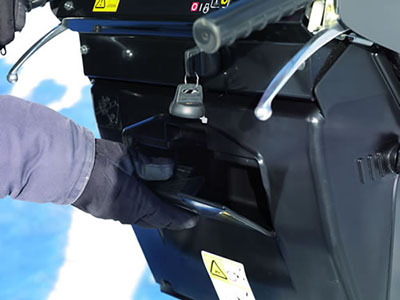 ENGAGE THE AUGER AND IMPELLER WITH JUST A FINGERTIP: Thanks to the electric powered clutch, engaging the auger and impeller is nearly effortless. ON-BOARD DIAGNOSTICS: Keep track of all operational details through the handy on-board diagnostics panel. Quick view indicators and diagnostics track vital information to monitor all operating systems. TRACK DRIVE OFFERS THE BEST TRACTION AVAILABLE: Pliable, low temperature rubber tracks with sure-gripping cleats, providing solid traction and ideal balance. Ideal for inclines, rough ground, and icy conditions. 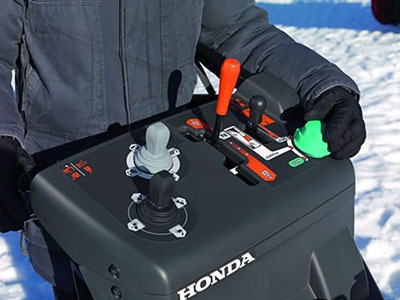 CONVENIENT CONTROL LEVERS: Glove-friendly controls and easy to understand labels and layout make operating a breeze. CONVENIENT ELECTRIC TRANSPORT MODE: Move the unit without starting the engine. Great for relocating from the garage or storage unit to work areas. HEAVY DUTY, ICE BREAKING SERRATED AUGERS: Ice-breaking augers automatically lift in reverse when automatic or semi-automatic modes are engaged. ELECTRIC START: The 24 VDC electric starter employs two heavy-duty batteries as its power source. It's an easy, no hassle starting solution. OPERATOR'S ESSENTIALS KEPT HANDY: Just under the control panel, a large box holds the operator's manual and tools for easy access and simple storage. Maximum discharge - 3,000 lb. / min.